See more objects with the tag film, handheld, camera, bi-colored. 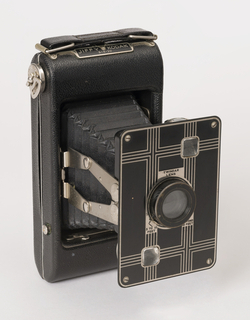 This is a Movie Camera. 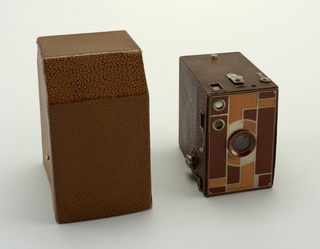 It was manufactured by Eastman Kodak Company. 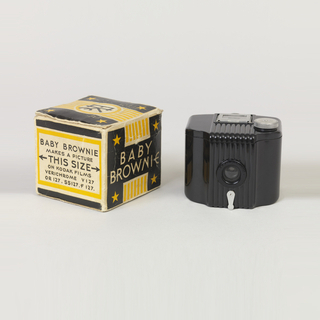 It is dated 1965–1967 and we acquired it in 2017. Its medium is molded plastic, metal. It is a part of the Product Design and Decorative Arts department. 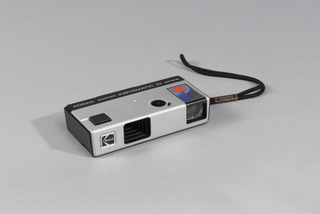 An entry level compact, hand-held movie camera, the Instamatic M2 was one in a line of products from Kodak’s Instamatic Super 8 system that brought brighter, sharper images to the home movie screen. 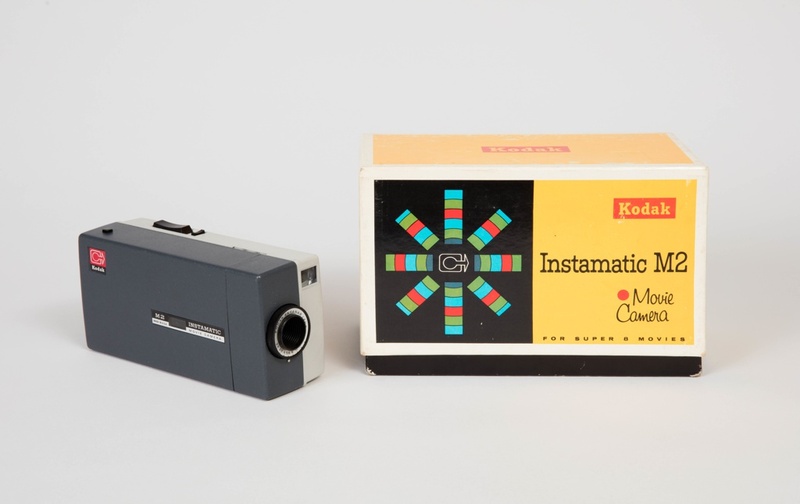 At the 1964–65 New York World's Fair, Kodak showed the Instamatic line of still and movie cameras in their pavilion where an exhibition instructed visitors how to better capture the fair on film.